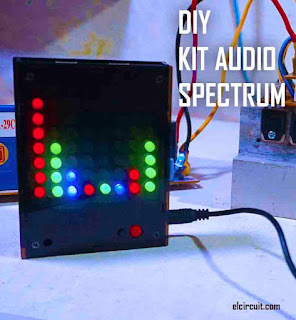 Hello elcircuit friends, this time I will post make audio spectrum circuit using LED 8x8 Red / Blue / Green. This circuit you can directly assemble because on icstation.com site is available. 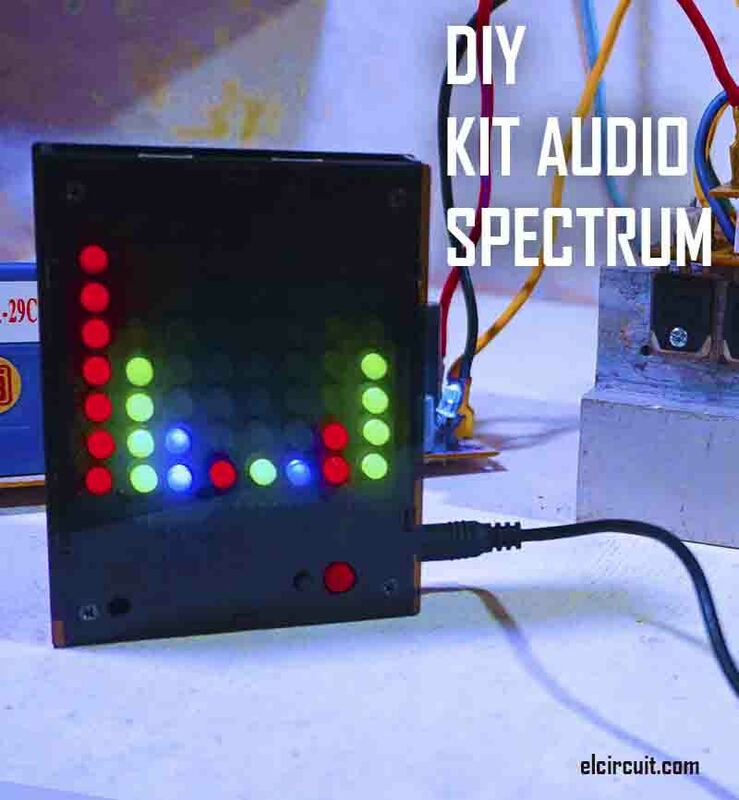 Which makes it easy for DIY'ers to create a KIT Audio Spectrum complete with acrylic case. The schematic circuit also you can see below. Plug the resistors, capacitors in accordance with the existing label on the PCB. Plug it correctly foot transistor S9014, do not upside down base legs, emitter and collector. Plug the led properly the long pin is the positive When installing, please keep each transverse or each vertical one in the same color.